This season of the English Premier League has been wildly entertaining. The stories of Leicester, West Ham and Watford have made for a greatly unpredictable season for the neutrals. However, for every success story, there is bound to be one filled with misery and sadness.Today we look upon five such clubs who find themselves at the wrong end of the table and analyze what are their chances of staying up. Bournemouth have been excluded from the list as with their upturn in form, they are, at the time of writing are 10 points clear of the relegation zone. Swansea also doesn’t feature due to their recent wins over Arsenal and Norwich which were a reflection in the improvement of their performances since Francesco Guidolin came in. In this article, we analyze and predict who has the most chance of finishing in the bottom three of the Premier League come the 15th of May, 2016. Can star man Yannick Bolasie fire Crystal Palace to safety? Crystal Palace had a fantastic start to the season. With Yohan Cabaye on song and Yannick Bolasie and Wilfrid Zaha terrorising fullbacks, Palace led by Alan Pardew rose to as high as 6th in the Premier League. The lack of goals from strikers was a lack of worry, but the midfield coupled impressive perfprmances from Scott Dann and the rest of the defence shielded Palace's problem. 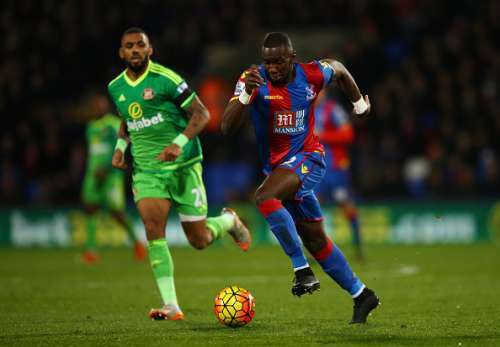 However, after Bolasie's injury, Palace have not been the same again. They have been stuck in a horrible rut ever since, one which is typical of Alan Pardew and his various stint as managers. Unfortunately for Palace, there seems to be no end in sight. Still, there are positive signs and with Connor Wickham's back to back braces and the return of Yannick Bolasie, Palace can dare to dream. The problem is that as their attack has improved, their defence has taken a turn for the worse with each passing week. While players like Papa Souare have totally slumped, their former mainstay in midfield, Australian Mile Jedinak has looked a shadow of his former self. However, it does look like Palace will stay up, but only by the skin of their teeth. 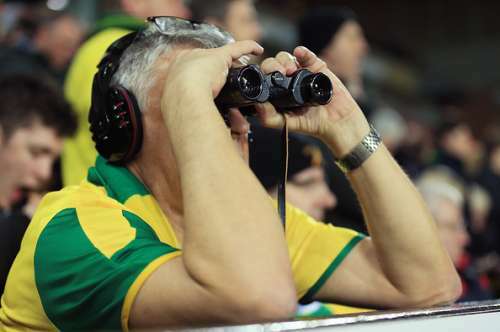 The end in sight for Norwich? Much like Newcastle, Norwich have the same basic defence in place that they did when they were relegated- Bassong, Martin, Bennet and Olsson. Alex O’Neil tried to improve it by signing Pinto, but that hasn’t worked out either. Norwich have the second-worst defence in the league, shipping in 54 goals (only 1 less than Villa) and not scoring enough to make up for it. Their main striker is Cameron Jerome who is far from a natural finisher and it showed in his recent misses against Chelsea. Scoring only 33 goals in 205 appearances in the Premier League is a luxury Norwich can’t afford. Alex Tettey has again looked decent but with his season coming to an end due to injury, it’s going to be even toughter for Norwich. The likes of Johnny Howson and Wes Hoolahan have so failed to inspire much confidence either. With games against Arsenal, Manchester United and Everton closing their season, Norwich need to act and act fast. Unfortunately, Norwich’s inability to prevent the opposition from scoring means that the odds are stacked against them, especially after the defeat to Swansea at the weekend. Due to their inability to pick up points, even against teams around them, and because of a fairly horrible run of form, Norwich seem to be slipping away from the survival spots and look destined for relegation. 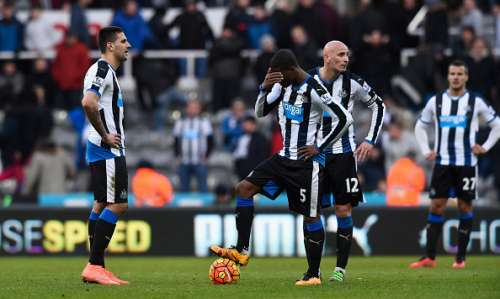 Newcastle United are an anomaly. A big club with a passionate fanbase that has never really been consistent in the 21st century. Alan Pardew may have led them to a fifth-place finish in 2011/12, but after that high, Newcastle fans have had to deal with disappointment after disappointment. Newcastle have some quality players. On their day, the likes Moussa Sissoko, Gini Wijnaldum, Aleksander Mitrovic and Ayoze Perez can rip apart any defence. Aside from their inconsistency, Newcastle players have never really gelled as a team. Their defence is atrocious even of put kindly. Mike Ashley has invested heavily in both transfer windows, but the fact that the manager isn’t the one signing off on transfers is ridiculous. Even thoughSteve McLaren now sits amongst the board members at St James’ Park and had a say in the transfer made, he has failed to mould a group of really talented individuals into a team. The magpies might be headed for the relegations for the second time in less than a decade if they sort things out right now regarding their head coach. Funnily enough, Mclaren is actually better than the self-proclaimed ‘best coach in the league’ Jon Carver. Here we are again with Sunderland. A team that is always in trouble come the business end of the season; a team that always changes their manager and always manages to stay up. This season, Sunderland brought in Sam Allardyce. Big Sam has been a specialist in staving off relegation and so, the appointment made sense. After steadily improving performances, with some huge hiccups along the way (losing 0-6 to Everton), Sunderland finally have hauled themselves out of the relegation zone halfway through Gameweek 29 on goal difference. Their tendency to concede late goals, with 28 percent of goals conceded in the 80-90th minutes has led to some crucial points being dropped. Jan Kirchoff hasn’t had the effect a lot of the Black faithful had. Coates, Kaboul, O’Shea and Brown, on the other hand, are a quartet that are clearly not good enough. Coupled with a good attacker but a poor defender in left-back Patrick Van Aanholt, means that Sunderland are always at risk to concede goals and thus are threatened greatly by relegation. Sunderland’s performances have been improving and it appears that the ‘Big Sam’ appointment has worked. Some solid signings like the promising Wahbi Khazri mean Sunderland have improved their attacking impetus. By and large, Sunderland will probably hover around the relegation zone but because of the presence of the experienced Allardyce and by virtue of them being Sunderland, they should stay up, But only just. Let’s get the obvious one out of the way. Aston Villa have been horrible throughout the season. The defence has been porous, Guzan has been appalling and Gestede hasn’t been an adequate replacement for Benteke. Villa’s recent performances are showing no signs of improvement with a 6-0 thrashing at the hands of Liverpool the most glaring of defeats. The team has no cohesion and there seems to be no way back for them. 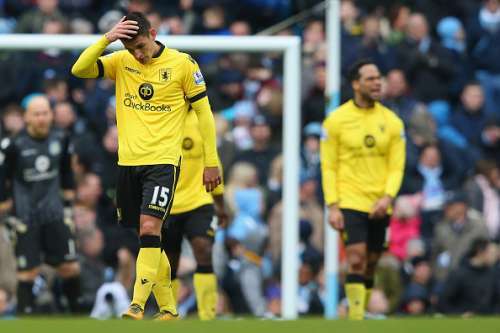 The lack of signings in January is likely due to no one wanting to play for a doomed club, which Villa seem to be. To be perfectly honest, if a team is playing Alan Hutton and Keiran Richardson as their fullbacks, they reek of the Championship. Remi Garde has had his work cut out for him. The Frenchman took over an ageing, uninterested side from Tim Sherwood that he failed to inspire. Still, Villa have had their bright spots. Jordan Amavi was a good prospect before his injury while Jordan Ayew and Jordan Veretout have shown touches of quality. But they have really paid for their inconsistency and after years of mishandling the club, it appears as if Randy Lerner will finally pay the price and be relegated to the second tier of English Football. It will take a miracle greater than those West Brom and Leicester pulled off in years past for Aston Villa to survive.